Louise Karneus ('16) is pictured here reading in the central lounge of the exhibit. The Sheehan Gallery, Whitman’s on-campus art gallery in Olin Hall, has opened the 2015-2016 year with “Seeing Stories: Traversing the Graphic Narrative.” The show explores graphic narratives, novels and comics comprehensively. The Sheehan exhibit opened Sept. 1 and is located on the first floor of Olin Hall. Unlike most other exhibits, it lasts through the semester, until Dec. 11. The interdisciplinary display covers everything from an illustrated version of The Book of Genesis to superhero comics and even non-fiction and historical works. Most of the show displays excerpts of larger books. The pages are blown up in size and, in some cases, made three-dimensional for visual purposes. “Seeing Stories” is also interactive: books are available for visitors to read. Four large bean bag chairs, reminiscent of those popular in Penrose Library, surround four shelves full of works from artists shown in the gallery and beyond. 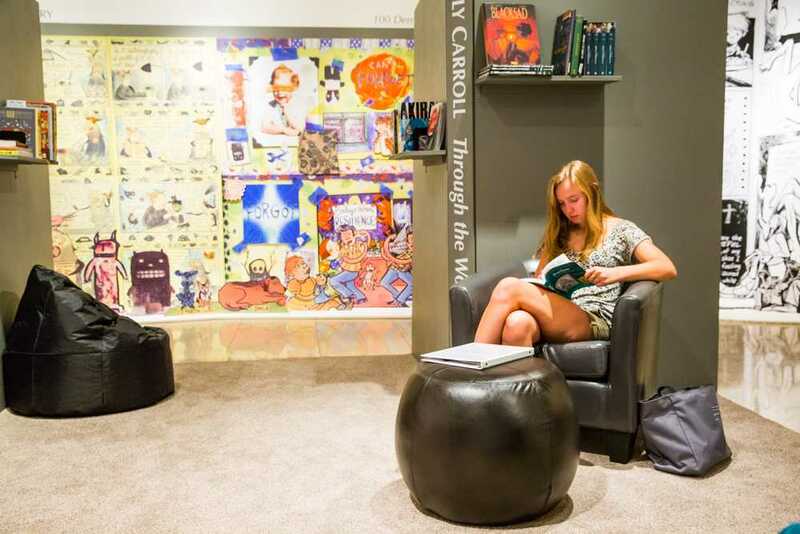 Louise Karneus (’16) is pictured here reading in the central lounge of the exhibit. Photo by Tywen Kelly. The display was designed by Whitman faculty curators and staff of the Sheehan Gallery, many of whom are Whitman students. Daniel Forbes, the Gallery Director, was the primary designer of the exhibitions and collaborated with Kynde Kiefel, Sheehan’s Gallery Assistant. Professors Robert Sickels (Film and Media Studies) and Sarah Hurlburt (French) also contributed to curating. The show was several years in the making. “Over the course of the exhibition’s development, it underwent a number of shifts in terms of configuration, but I am very pleased with how the show looks and how it holds together, especially considering how much it encompasses and how diverse it’s components are,” said Forbes. 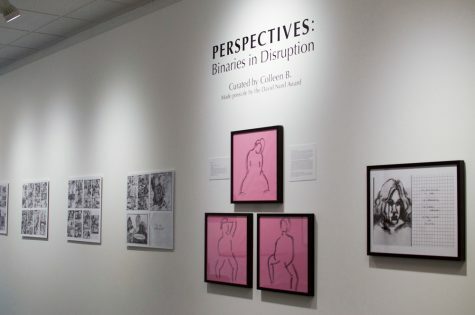 Forbes said that the gallery idea was developed from students’ interest in comics and graphic narratives. It also supports the increasing number of faculty who use graphic novels/narratives as part of their class curriculum, such as the graphic novels Maus and Maus II by Art Spiegelman read in Encounters. “It is one of the most interdisciplinary and faculty involved display shows we’ve had to date,” he said. This summer, senior religion major Leda Zakarison received a Perry Grant to work with Professor Hurlburt to curate a portion of the exhibit. Together, they curated the two back rooms, which are about the French bande dessinée (graphic novel) series Magasin Général. Zakarison helped to translate the books and design the exhibit. 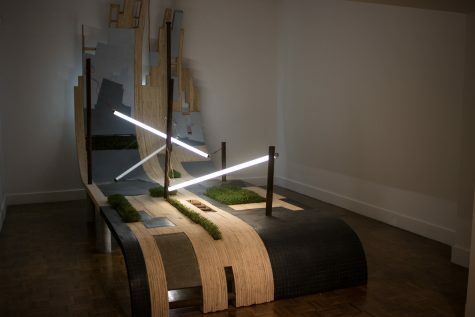 Given a room and a sectioned-off portion of the gallery, Zakarison and Hurlburt were challenged with coming up with a concept to uniquely and creatively fill the space. Zakarison appreciated how the exhibition treated graphic novels as works of art, and was struck by the ways in which both text and images are integral to stories. “The books that are featured in the exhibit are beautiful, and [the gallery directors] did a wonderful job of highlighting the aesthetic beauty of the books and the artistic talent of the authors while also giving people looking at the exhibit a sense of the book’s narratives,” she said. The exhibit is touching campus outside of the Sheehan Gallery, too. Many of the authors, including the authors of Magasin Général, are visiting campus to speak and sign books. Alison Bechdel and Joe Sacco, whose graphic novels are depicted in as blown-up art panels, are also visiting campus. There are a number of other on-campus events pertaining to the show. Penrose Library is featuring books from the exhibit and other graphic novels, and there are some available for purchase at the bookstore as well. Some professors have even incorporated works by featured artists into their curricula. “I hope that this exhibit will introduce more Whitman students and community members to graphic novels and encourage them to try reading some of them,” said Zakarison. The Sheehan Gallery is free and open to the public. The gallery’s hours are noon to 5 p.m. on weekdays and noon to 4 p.m. Saturday and Sunday. 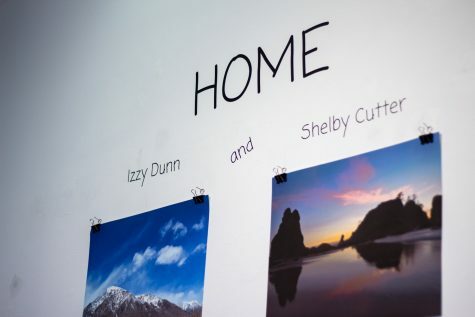 For more information, contact the gallery at whitman.edu/sheehan or (505) 527-5249.